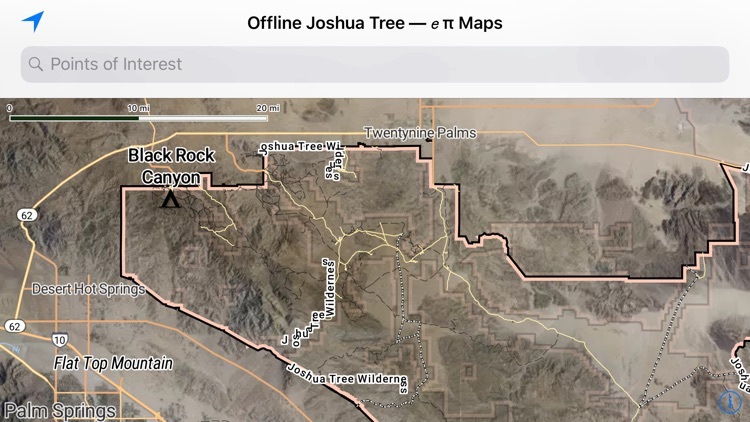 Offline Joshua Tree Map by ePi Rational, Inc. 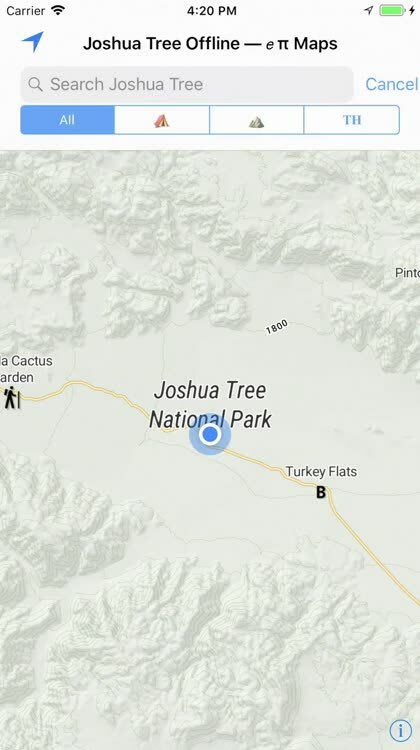 Enjoy Joshua Tree National Park with our completely Offline map. 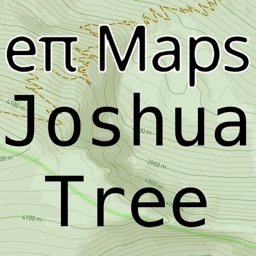 — This eπ Map is completely offline. 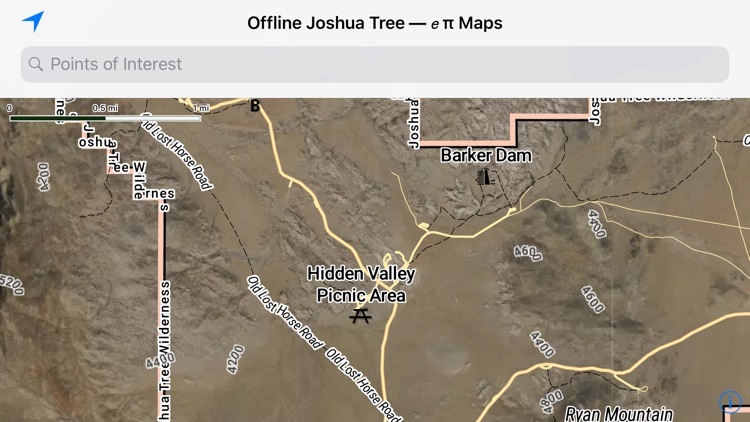 — After downloading the app from the Apple App Store, then all map data (satellite, trails, hill shade) is offline. 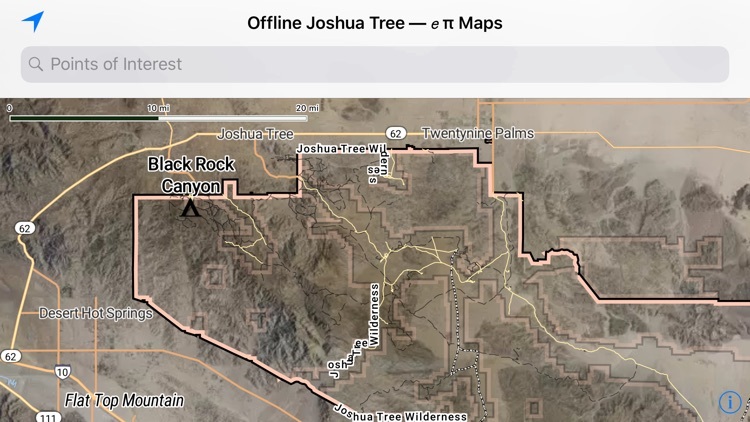 — Use your GPS to see your location on the trail. 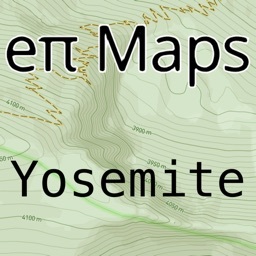 — Now with beautiful shaded relief. 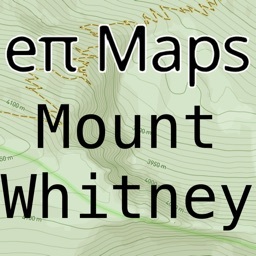 — Topographic map with 40 feet contour intervals. 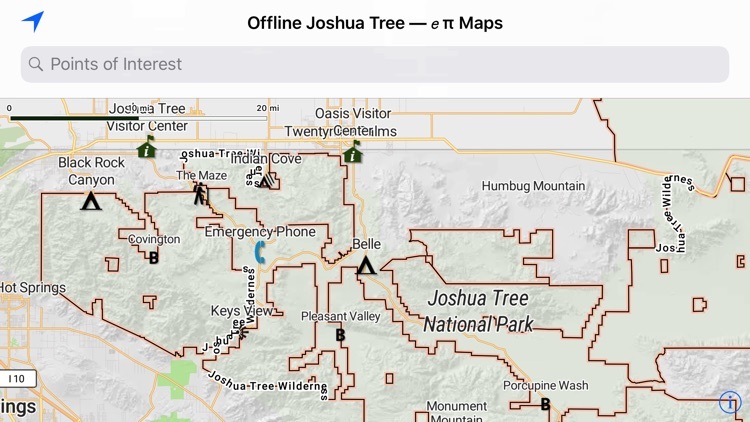 — When you have service, get park alerts from NPS.gov & local weather from Weather.gov. 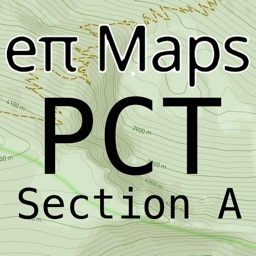 eπ Maps is powered by OpenGL with vector based maps built with Open Map Tiles, and hill shaded relief raster maps built with GDAL and WebP. 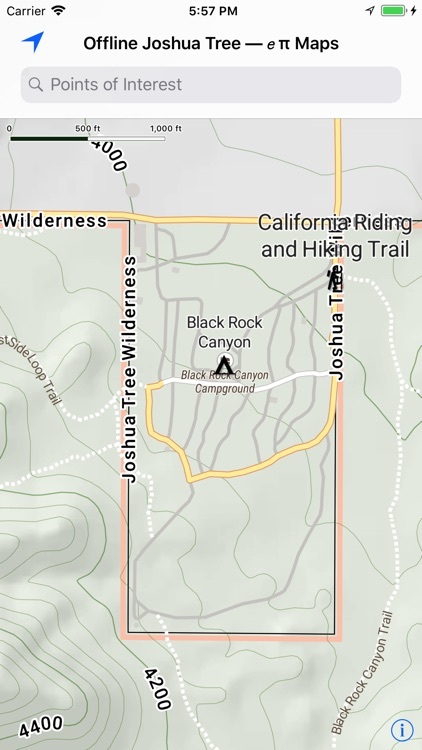 — Publisher assumes no liability for safety or condition of roads or trails. 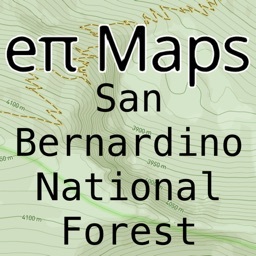 Map is not intended for navigational use and is not represented to be correct in every aspect. Consult federal, state, and local laws for current regulations. 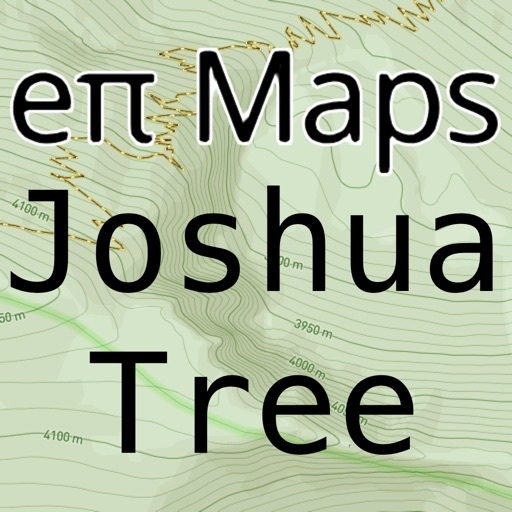 — This map is not a legal document. 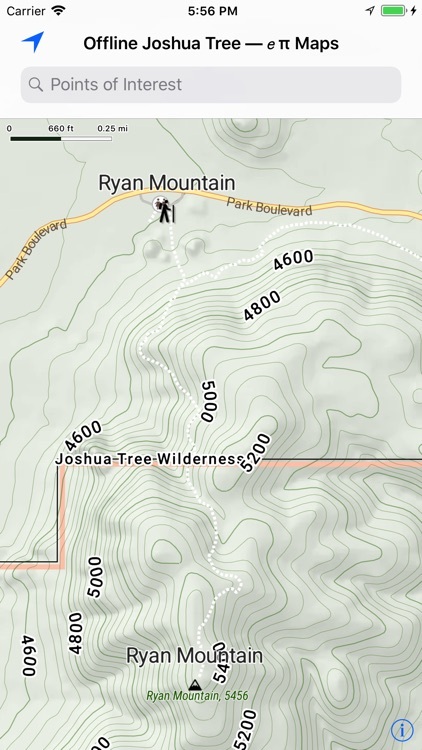 Boundaries may be generalized for this map scale. 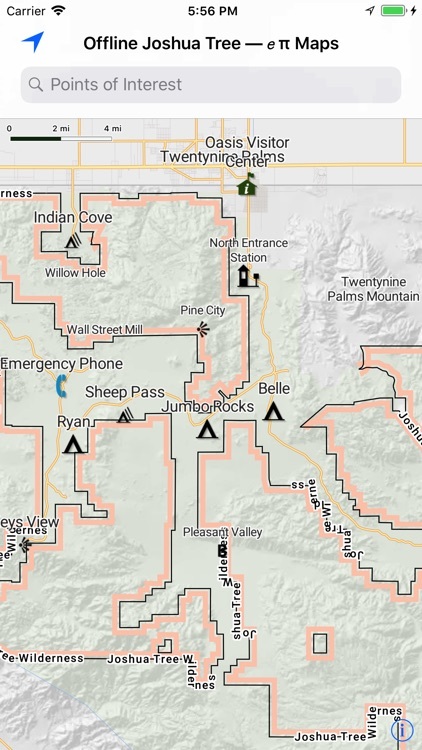 Private lands within government reservations may not be shown. 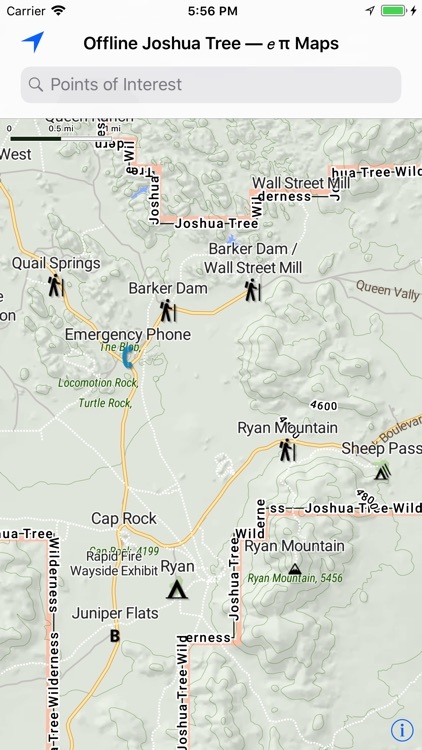 Obtain permissions before entering private lands. — © USGS, for Hill Shaded Relief and 40 foot contour intervals. 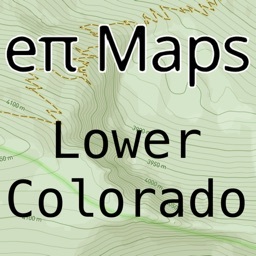 Contours derived from the National Elevation Dataset.